For this months UK blog we wanted to do a roundup of our amazing month celebrating price. This year we teamed up with Paperchase to embark on a UK pride tour in locations such as Canterbury, Edinburgh,Nottingham and London. We absolutely love being involved with Pride and every year seems even more special than the last! We had so much fun meeting you all and giving you extra special makeovers to celebrate this amazing event. 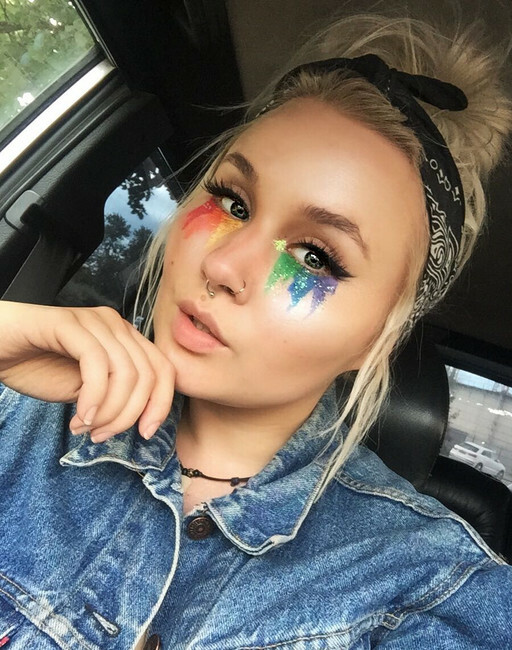 As well as offering our makeovers in Paperchase stores, head Dreamteam artist Ellis also created a tutorial for those of you who couldn't attend or who were looking for inspiration to create their own pride-tastic looks! This dreamy tutorial was shared on the Paperchase blog and we had so many amazing photos from followers recreating the look. We love getting involved with big social events and our dreamteam are already planning their looks for Nottinghill Carnival at the end of the month. If you need some inspiration be sure to head over to our Instagram where you'll find tonnes of unique looks and embellishments to help you stand out from the crowd! Once inspired head over to our shop to order your makeup supplies!